O2 practices an interdisciplinary approach where landscape architects, planners, urban designers and environmental scientists work together, from initial concept to final construction detailing. As O2’s Managing Partner, Trevor contributes to the firm’s business planning, program management, opportunity identification and analysis. Trevor holds a Master of Business Administration from the Richard Ivey School of Business, University of Western Ontario, a Graduate Diploma in International Management from Capilano University and a Bachelor of Arts from the University of Victoria. With over 17 years of experience, Trevor brings a unique perspective and creative, sound business advice to the firm. Prior to joining O2 in 2006, Trevor worked in Latin America with Foreign Affairs and International Trade Canada, the Canadian International Development Agency and the United Nations Development Program. His international work experience focused on private sector development and trade capacity building. Trevor also worked in the Canadian energy sector in the areas of economics and strategic planning, and business development. His background in developing trade and development partnerships make him a primary resource for client service. As a principal at O2, Andrew manages the firm’s Planning Studio. Central to his approach is a belief that great places are defined by environmental responsibility and economic vitality, cultural vibrancy, social discourse and creative design. Andrew holds a Master of Urban and Regional Planning degree from Queen's University, a Bachelor of Arts and a Master of Arts, both in Geography, from the University of Calgary. 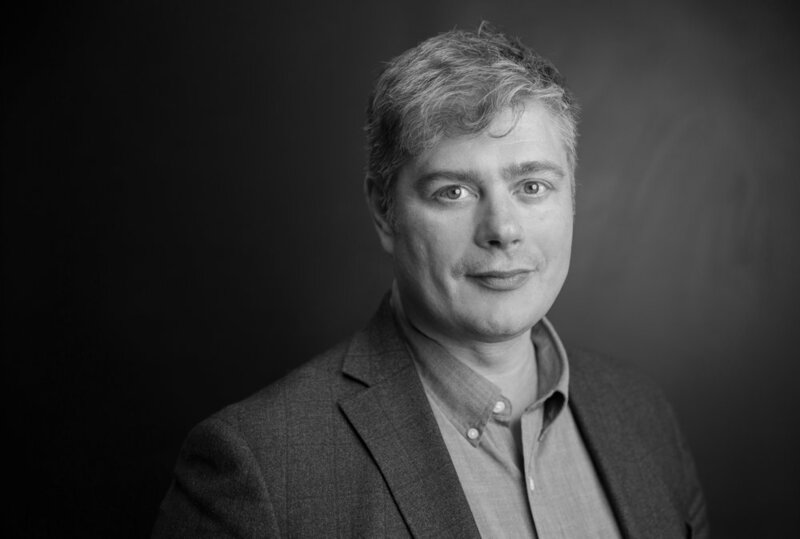 Andrew also holds a Certificate in Public Participation from the International Association of Public Participation (IAP2) and is a member of the Canadian Institute of Planners. As a principal with O2, Chris manages the firm’s Design Studio. He is a registered professional planner, a member of the Royal Architecture Institute of Canada and an urban designer with over 17 years of experience. He achieved international recognition as a Fellow of the Forum for Urban Design in New York; a Recognized Practitioner in Urban Design in the UK; and, as a member of the Project for Public Spaces Leadership Committee and the Council for Canadian Urbanism. As an accomplished facilitator and an inspiring speaker, Chris speaks about healthy cities across North America and abroad in New York, San Francisco, Copenhagen, New Delhi and Helsinki. He served as a director of Build Toronto, a sessional lecturer in the Masters of Urban Design program at the University of Toronto, and is a member of the Downsview Park Design Review Panel and the steering committee of the Toronto Centre for Active Transportation. Chris is highly regarded for his strategic and collaborative approach to complex urban projects – including charting and leading the public engagement process and helping bring together diverse public agencies and stakeholders around a shared vision. His commitment to city building is internationally recognized through award-winning projects such as the Waterfront Master Plan for Kaohsiung, Taiwan; exhibitions at the Dieppe Biennale and the Van Alen Institute in New York; and through publications such as The Good Life: New Spaces for Recreation. His work has been featured by leading design publishers including NAI Publishers, Monacelli Press, Princeton Press, Birkauser and MIT Press. Additionally, Chris led the Public Spaces, Activity & Urban Form study for the City of Saskatoon that won the Premier’s Award for Excellence in Community Planning, the Canadian Institute of Planners New and Emerging Planning Initiatives Award and the International Downtown Association’s Award of Merit. Chris combines his university training in Fine Art, Environmental Studies and Architecture to bring integrated design thinking to complex urban projects. He has directed over 300 design and planning studies across Canada, ranging in scale from the Centre Plan for Halifax to Museum Park at the Canadian Science and Technology Museum in Ottawa. His expertise includes community, urban, public space, campus streetscape design and planning that incorporates active transportation, transit-oriented design, programming, public art, gateways, wayfinding, place branding and implementation strategies. Matt is a Senior Landscape Architect and Associate with O2. He is a team leader of the design studio, managing high profile urban design, mixed use, campus, and large park projects. From master planning through design development and construction documentation, Matt ensures a fine attention to detail for both planned and built projects. He oversaw the design and construction of the award winning Taylor Family Quad at the University of Calgary and is currently overseeing cSPACE King Edward; ATCO Commercial Centre; West Eau Claire Park; Eau Claire Plaza and Public Realm, and; multiple mixed use developments including Eau Claire West, Eau Claire Market Redevelopment, and Stadium Shopping Centre. Matt holds a Master’s degree in Landscape Architecture from the University of Guelph where he received the American Society of Landscape Architect’s Award of Merit and a Bachelor of Environmental Studies from the University of Waterloo in Planning and Urban Design. Matt is a fully registered member of the Alberta Association of Landscape Architects, and represents the AALA on the City of Calgary’s Urban Design Review Panel. Brian is an accomplished city planner and urban designer with considerable experience working on innovative planning and design projects in Canada and overseas. He spent the early part of his career in London, UK, working on projects at all scales ranging from regional strategies, new village masterplans, inner-city urban design strategies and detailed streetscape designs. Brian believes that the careful attention to detail at all scales is crucial to delivering projects that result in the creation of places and spaces that are a positive contribution to the urban fabric and will be appreciated and used over time. Since moving back to his home city of Calgary in 2010, Brian has focused his practice on working with private sector clients, assisting them in preparing and obtaining successful and timely approval for their development projects. On all the projects he is involved with, Brian combines his knowledge of market fundamentals, policy environment, urban design, the approval process and stakeholder negotiation to facilitate the approval of complex projects, particularly in the context of urban intensification. Brian holds a Master of Planning from Dalhousie University and a Bachelor of Arts with a double major in Political Science and Economics. He is a member of the Canadian Institute of Planners, the Alberta Professional Planners Institute and the Urban Land Institute. Brian sits on the City of Calgary Urban Design Review Panel (UDRP). Douglas holds a Doctor of Design from Harvard University focusing on broad-scale landscapes and a Master of Landscape Architecture from the University of Manitoba. He has served as an instructor at the Harvard University Graduate School of Design and is an adjunct professor in the Faculty of Environmental Design at the University of Calgary. He is a member of the Canadian and American Societies of Landscape Architects and the International Association of Landscape Ecology. Douglas is also a founding board member and chairman of the SAFE Design Council, a not-for-profit aimed at decreasing the risk of crime through informed design. He recently received the Lifetime Achievement Award from the Canadian Society of Landscape Architects. Douglas is experienced in all phases of planning and design, from broad-scale policy development and spatial analysis through to detailed implementation. He has worked in Africa, Central and South America, China, Colombia, Mexico, Mongolia and Slovenia, as well as throughout the United States and Canada. His work has appeared in multiple international publications and has won several national awards. Among many others, his broad-scale projects include land-use plans for southern Alberta and the Teslin First Nations Territory in the Yukon, regional land use plans for Saskatoon and Calgary, open-space plans for the Halifax Regional Municipality and the City of Edmonton and habitat-based standards for biodiversity in the agricultural landscape of the mixed prairie. His mid-scale projects include the Parks Strategy for the City of Toronto, the River Valley Master Plan for Lethbridge, the riparian assessment for Calgary and the Nose Creek Watershed land-use project. At finer scales, his detailed design projects include the EEEL building at the University of Calgary, Calgary’s West Eau Claire Riverside Park, East Bowmont Park and the University of Lethbridge plaza. Leif is an Associate with O2 specializing in systematic landscape planning of cities and regions from an ecological perspective. His focus reaches across land and water, identifying key characteristics of landscapes which support the persistence of natural functioning. Leif has worked as a researcher with Waterton National Park, Saint Lawrence Islands National Park and Environment Canada. He is also a certified trainer for the Marxan land-use optimization software, teaching hands-on conservation planning workshops and courses around the world. Leif has extensive experience with parks and open space planning at city-wide and regional scales. He brings a well-rounded and rigorous perspective to urban open space planning, balancing ecological, cultural and practical considerations to ensure functional and sustainable planning recommendations. He provides a unique ability to lead the multi-functional evaluation of landscape values, synthesizing a wide variety of objectives and information into clearly communicated strategic directions. As an expert in multi-objective land-use planning, Leif works across project teams to advise on landscape pattern and environmental significance, identifying key areas in natural and disturbed lands which must be maintained and supported to ensure a well-functioning landscape. He is experienced with consultation processes, and speaks clearly and concisely about the value of open space at public events, presentations, and advisory and steering committee meetings. Recently, Leif managed the Edmonton Breathe and Lethbridge River Valley Master Plans, leading day-to-day management of the open space and river valley master plans. He also led the analysis for the Halifax Green Network Plan, and the ecological functioning analysis for the Ribbon of Green in Edmonton. Leif holds a Bachelor of Science degree in Ecology from the University of Calgary, and a doctorate in Conservation Ecology from Carleton University’s Geomatics and Landscape Ecology Research Lab, focusing on multi-objective conservation planning to prioritize protected area designation at the regional scale. Omair holds a Doctorate and Masters degree in Geographic Information Science from the University of Edinburgh, Diploma in Management from the Chartered Management Institute and Bachelors of Engineering degree in Computer Software from the National University of Science and Technology. Omair has published journal articles, book chapters and also presented papers in international conferences on representation of spatial information at multiple levels of detail, automated spatial data enrichment and geo-visualization. Prior to joining O2, Omair worked at Public Health England where he explored the development of GIS health portal and desktop solutions for mapping and analysis of infectious diseases. He also served as a lecturer in GIS at Manchester Metropolitan University. He taught courses on spatial databases, distributed GIS, spatial programming and geo-visualization. Omair was also involved in a number of GIS projects involving health, urban planning and utilities during his employment at LMKT. He is experienced in all phases of GIS projects from architecture design to deployment and end user training. He has extensive skills in development of desktop and web GIS solutions using proprietary and open source platforms. Katelyn is an environmental landscape architect with 10 years of professional experience focusing on stormwater management and restoration of wetlands and stream banks. She holds a master’s degree in ecological restoration from the University of Waterloo and a Bachelor of Landscape Architecture from the University of Guelph. Katelyn brings experience in the development of sustainable urban ecosystems, including stormwater management and low-impact development (LID) techniques. She also has an ecological restoration foundation in riparian and aquatic restoration techniques, particularly in urban environments. Recently, she has been inspecting the construction of stormwater wetlands and LID features in the Calgary area. The combination of her design, planning and practical experience fully facilitates the integration of landscape architecture with ecological restoration. She was previously the director of the Alberta Low Impact Development Partnership, and continues in a Vice President role supporting the development of low impact development (LID) practices in Alberta, such as bioswales, rain gardens, and green roofs. Sarah holds a graduate degree in Design Innovation and Environmental Design from the Glasgow School of Art (2015) and a degree in graphic design from the York/Sheridan Design Programme (2008). 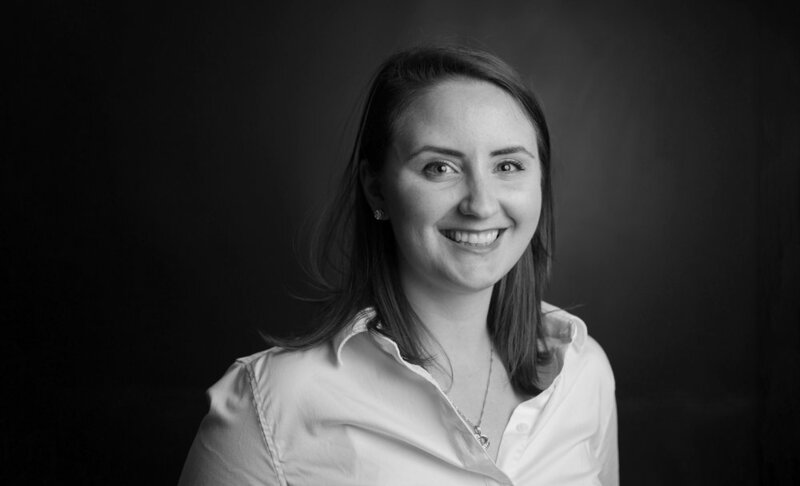 Sarah has a professional background in wayfinding design and strategy, with over six years of experience as a designer at Entro Communications. Her experience combines information design and communications with a strong connection to environmental design and the urban experience. Sarah’s strengths lie in synthesizing and visualizing complex ideas with clarity and ensuring the user experience is at the core of the design process. Working across disciplines at O2, Sarah leads the graphic design and visual communications of project materials—ranging from public engagement for a local park design to mapping for a large-scale regional plan. Her experience at O2 includes work for the Halifax Regional Municipality (Centre Plan, Integrated Mobility Plan, Green Network Plan), City of Edmonton (Ribbon of Green, Breathe: Edmonton’s Green Network Strategy), City of Calgary (Bend in the Bow Redevelopment Plan) and City of Toronto (Parkland Strategy). Zach holds a Bachelor in Landscape Architecture from The Pennsylvania State University, is an Associate member of the Alberta Association of Landscape Architects and a Florida Nursery and Landscape Association Certified Horticultural Professional. His professional experience in Architecture, Landscape Architecture, Planning and Civil Engineering is diverse. Prior to joining O2, Zach worked on complex projects throughout Philadelphia and South Florida. He brings a passion for creative and sustainable design solutions combined with experience in large and small-scale green infrastructure design and implementation. His work is recognized by the Architecture League of New York, the Philadelphia Center for Community Progress, the Philadelphia City Parks Association and has been exhibited at the Museum of The City of New York. As a Project Coordinator with the design studio at O2, Zach is a key contributor to a wide range of project types and scales including urban design, mixed use, green roof, campus, trail and large park projects. Achim completed his undergraduate degree in Landscape Architecture at the University of Georgia in the United States and attained a Master of Business Administration from The Hague University in the Netherlands. Achim has worked in the United States, the Netherlands and China. Over the past 15 years, he has gained broad international experience on multiple scales. His work ranges from the design of five 900-square metre hospital courtyards for the new Maasstad hospital in Rotterdam that included custom designed light features, to the design of the 260 acre urban expansion area north of the center of Zwolle, where he completed urban design layout studies for the entire site. At O2, Achim is currently involved in the master planning and engagement process as a project manager and designer for the Dawson and Oleskiw Parks Master Plan project in Edmonton, the site design and construction administration of the Strathcona-Tweedsdmuir School site expansion project in Okotoks and the schematic design process of the site for the Lewis Farms Community Recreation Centre project in Edmonton. Achim is interested in the aesthetic and experiential dimensions of space making based on a solid foundation of ecological and functional parameters. He enjoys the process of collaborating with colleagues and liaising with clients, allied consultants and user groups to achieve the best possible design outcome for every project. After 4 years of working as an architect, Daniel pursued a Master in Landscape Architecture from the renowned program at the University of Pennsylvania, where he developed a critical thinking of ecological planning and design. After returning to Ecuador, he committed his work to the city, working as Deputy Director of Public Space for the Municipality of Quito, where he got involved in different phases of the design and planning of around 120 projects throughout the city. 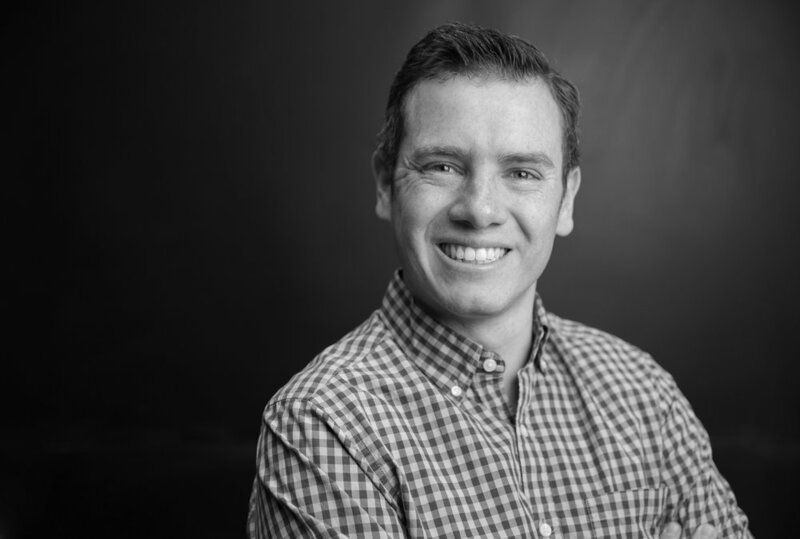 As an educator, Daniel was a lecturer at Universidad Catolica, where he led the Landscape Architecture seminar at the Master of Urban Design program. While in Ecuador, Daniel directly collaborated with two design studios at the University of Pennsylvania, one led by professor David Gouverneur which looked at opportunities for sustainable urban growth in Quito, Ecuador, as well as a travel studio led by Maria Villalobos and Oscar Grauer which developed resilient frameworks for coastal settlements, right after an earthquake struck Ecuador’s central coast in 2016. At O2, his role as an Urban Designer allows for a creative exploration of his various interests while working on some of the most ambitious projects throughout the region. Nicholas holds a Master of Architecture from the University of Calgary (2014), where upon graduation, he was the recipient of the Governor General’s Academic Gold Medal, the Royal Architectural Institute of Canada’s Student Medal, and the Faculty of Environmental Design Academic Gold Medal for his academic achievements. Nicholas also holds a Bachelor of Arts, Specialization in Urban Planning from Concordia University, where upon graduation he was the recipient of the Interdisciplinary Award. Prior to joining O2, Nicholas was a Project Manager at Calgary Municipal Land Corporation (CMLC), where he primarily managed the design and construction of public park and streetscape improvement projects, within the larger East Village and Rivers District urban redevelopment projects. During this time, Nicholas developed a strong passion for the transformative potential of public infrastructure. At CMLC, Nicholas also developed analytical pro formas for large brownfield redevelopment sites. In doing this, he developed a keen understanding of the relationships between public infrastructure investments, private redevelopment opportunities, and municipal financial sustainability. Nicholas is motivated by engaging the untapped potential of urban spaces. His interests and approaches span the fields of architecture, landscape and urban planning, centring on schemes that draw on and link critical thinking in all three. The urban forms that Nicholas strives to create seek to provide platforms for collisions between the multiple identities and ecologies that inhabit the contemporary city. Nicholas believes that there is a deep responsibility to developing urban form. When done well, the public realm should empower all who reside, use, act, or occupy, towards individual and collective realizations of expanded possibilities. As an Urban Designer at O2, Nicholas works on projects ranging from small urban realm improvements to large area redevelopment visions. Matt Knapik is a Calgary-based designer and educator. He earned Masters Degrees in Architecture and Urban Design from the University of Calgary, where his research focused on ecological connectivity and infrastructure in suburban spaces. His research, design work, graphics, and installations have been published and presented in Canada, the United States, Europe, Africa, and Australia. Prior to joining O2, Matt ran his own practice – Kilometre Design – which worked across diverse domains and scales of design, from book design to community engagement and regional-scale mapping and design. In 2017, Kilometre completed a three-year project with Active Neighbourhoods Canada. Work from this project has spurred community change across Calgary and been published and presented at conferences across Canada. Over the last seven years, Matt has instructed more than 20 design courses at the graduate and undergraduate level, with a focus on advanced digital workflows and design graphics. He has taught design studios and lectured at Mount Royal University and at the University of Calgary, where he was corecipient of the 2015 Faculty of Environmental Design Award for Teaching Excellence. Matt is a founding member of the award-winning design & research collaborative THE BENCH PROJECT, where he volunteers his time to develop community-driven public space projects. In 2015, Matt was awarded an RBC Emerging Artist Award to complete a six-week residency in Visual Arts at the Banff Centre, where he developed collaborative works bridging art and design that have been exhibited in Banff, Kingston, and Sydney, Australia. Matt has produced and hosted a radio show called Charmers’ Almanac since 2012, and has sat on the board of directors for Calgary Reads since 2017. 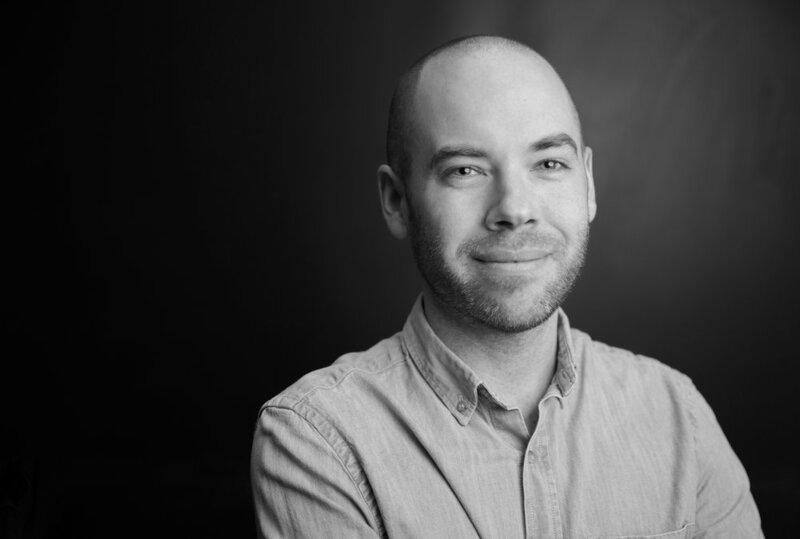 In his role as Urban Designer at O2, Matt brings his experience, broad software skill set, and multi-scalar design sensibility to projects in planning, landscape, and urban design. Michael holds a Master of Planning in Urban and Regional Planning degree from Queen’s University and a Bachelor of Arts Honours degree in Political Science from the University of Winnipeg. While at Queen’s, Michael was a recipient of the Canadian Institute of Planners Award for Academic Excellence, the Ida Mmari Memorial Award or Academic Achievement and the Joseph-Armand Bombardier Canada Graduate Scholarship. His Master’s Report: Is Everyone in the Pool? Lessons on Access and Equity from the Regent Park Aquatic Centre, examined how Toronto’s Regent Park Aquatic Centre accommodates persons from all social, cultural and economic backgrounds and what municipal officials can learn from the process that created this aquatic centre. Following his graduation from Queen’s, Michael worked in a progressive role as a Community Planner and Technical Services Officer with Parks Canada. Working with Parks allowed Michael the opportunity to develop his skills in environmental land use, parks and recreation planning, public participation and community stakeholder engagement. Throughout his work, Michael continually strives to balance quality planning and urban design with social equity to create spaces that are barrier-free, walkable and sustainable. As a planner and project coordinator at O2, Michael contributes to a wide range of project types and scales including community planning, public engagement, and parks and open-space planning. Michael’s recent planning experience at O2 includes work for the Halifax Regional Municipality (Centre Plan, Integrated Mobility Plan), City of Edmonton (Ribbon of Green), City of Lethbridge (River Valley Parks Master Plan) and the City of Toronto (Parkland Strategy. Catherine brings seven years of professional experience in landscape architecture and holds a Master of Arts in Sustainable Design from the University of Victoria, School of Environmental Studies and a Bachelor of Environmental Design from the University of Manitoba, Faculty of Architecture. Catherine’s graduate research focused on the design of urban stormwater management systems with a special focus on greening schoolgrounds and design for education. Catherine’s research was well received by the local community, she received a double Mitacs grant to undertake a design-build project at a local school that included five community partnerships. Prior to working at O2, Catherine worked with design firms in Vancouver and Victoria, focusing on sustainable urban design and stormwater management design. At O2, Catherine works with the ecological design team focusing on natural environment parks and river parks. Currently, Catherine is working on trail network planning and design at 12 Mile Coulee; trail construction at Nose Hill; and river park design and construction at Harvie Passage. Cyril is a recent graduate of the Master of Community and Regional Planning program at the University of British Columbia. Prior to UBC he studied Sustainable Urban Planning and Design at the Royal Institute of Technology in Stockholm Sweden, as well as obtaining a Bachelor of Arts degree in Sociology from Carleton University, Ottawa. Cyril brings three years of experience working on community and regional planning projects for clients throughout Western Canada. He has contributed to Parks and Recreation Plans at the City-wide and Region-wide scale, developing extensive public engagement and robust research and analysis skills along the way. While at UBC, Cyril combined his passion for outdoor recreation and his training as a planner to assist the BC Ministry of Forests, Lands, Natural Resource Operations, and Rural Development in developing a new decision support tool for evaluating Crown land tenure applications. In doing so, he sought to ensure that First Nations Interests and aspirations were incorporated throughout the Ministry’s decision-making process. Cyril’s approach to planning is rooted in resiliency. He is an advocate for active transportation, sustainable land use and inclusive planning processes, all of which contribute to building communities that are up to the task of facing an uncertain future. At O2, Cyril is currently involved in a variety of development planning projects. He enjoys helping clients realize their visions in such a way that reflects the values and aspirations of the local community. 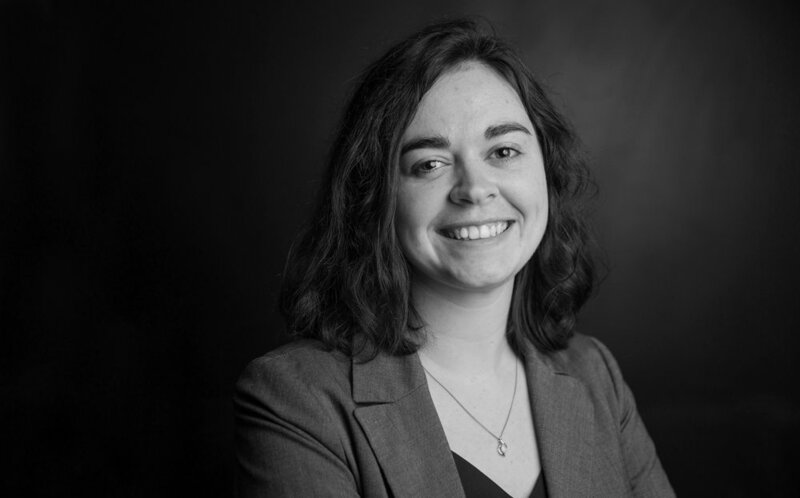 Maria holds a Master’s in Landscape Architecture from the University of British Columbia, where she received the award of Top Graduate Thesis Study for her thesis work focusing on the renegotiation of Calgary’s public right of way in terms of mobility, ecology, and public realm. Maria undertook studies in Wageningen University and Research Centre (Netherlands), focused on alternative energy sources in regional landscapes, for which she received an IFLA Jury Award. Maria also holds a Bachelor of Applied Interior Design with studies in Calgary and Guadalajara, Mexico. Prior to joining O2, Maria was a Landscape Architect Consultant with the University of British Columbia Design Centre. Her project work involved developing the research document, “Green Infrastructure in Calgary’s Mobility Corridors”, which was awarded a CSLA National Merit Award. Maria is a registered Landscape Architect and has professional experience as a landscape architect and interior designer, from site specific to urban scale. Her work at O2 focuses on fine scale landscape architecture and the graphic presentation of drawings, maps, and other information. Maria’s recent project work with O2 includes the development of construction drawings for the University of Calgary’s Taylor Family Digital Library and Calgary Telus World of Science and Kids Museum. Nicholas holds a Master of Urban and Regional Planning degree from Queen’s University (2018) along with degrees in Geography (2016) and Education (2016) from Brock University. Bringing 3 years of planning experience to O2, Nicholas thrives working with people to develop the best planning solutions possible. He has expertise crafting concise, innovative policy, and developing unique public engagement strategies. Nicholas has managed municipal policy projects ranging from industrial land reviews to housing affordability to short-term rentals, and has experience working with federal, provincial, and municipal governments on land-use planning work in Alberta, Ontario, and Québec. At Queen’s University, Nicholas was an active advocate for planning. He served as student representative to the Ontario Professional Planners Institute and chaired the Canadian Institute of Planners’ (CIP) Student Affairs Sub-committee, and now sits on the CIP’s national board of directors. Nicholas’ academic research at Queen’s was also recognized provincially and nationally, receiving Ontario Graduate Scholarship and Canadian Graduate Scholarship funding. Working collaboratively with O2’s multidisciplinary team, Nicholas specializes in public engagement, policy, and land-use planning, using these skills to contribute to regional, urban, and community planning projects. Valerie holds a Master of Landscape Architecture degree from the John H. Daniels Faculty of Architecture, Landscape and Design at the University of Toronto where she worked with a leading landscape historian in a research assistant role. In addition, she holds a Bachelor of Environmental Studies degree from the University of Waterloo with a specialization in Geomatics and a minor in Fine Art. Her professional background includes administration and project coordination in the fields of social planning and community services, both of which influence her current design practice as she emphasizes social inclusion and community participation in landscape design. Valerie is currently involved in design, planning and public engagement projects with O2. Using a multi-disciplinary approach, she performs environmental analysis, historical research and public outreach to inform multi scalar and site-specific design solutions. Her projects with O2 include the Dawson Park and Kinnaird Ravine Master Plan, the Oleskiw River Valley Park Master Plan, Edmonton’s Ribbon of Green and the Lethbridge River Valley Parks Master Plan. Caylee holds a Masters in Landscape Architecture from the University of British Columbia, where she was awarded the inaugural Landscape Architecture Canada Foundation award for her graduate design project. Additionally, she holds a Bachelor of Science in Environmental Science from the University of Lethbridge, where she graduated with distinction. Caylee is skilled in various technical programs including drafting software, GIS and the Adobe Creative Suite. She recently joined the Alberta Association of Landscape Architects as an Associate Member. Prior to joining O2, Caylee worked in the environmental sector where she gained extensive experience in botanical surveys, soil surveys, pre-disturbance assessments, reclamation planning and environmental monitoring. She was responsible for desktop reviews, field surveys, supervising reclamation construction projects and writing reports. Her work throughout Alberta and British Columbia provides her with a wide range of ecological knowledge as well an understanding of environmental regulatory requirements. Zoe holds a Bachelor of Landscape Architecture degree from the University of Guelph, where her undergraduate thesis focused of issues of food security and accessibility for homeless youth in Toronto. Her research work received recognition from The Ontario Council of Universities, The Design Exchange and The Sustainable Design Awards. Zoe brings prior experience working with the MBTW Group as a landscape architectural intern on the contract administration and urban design teams. Zoe joined O2 because of her interest in the design of open spaces and its integration with natural processes. She brings her enthusiasm and strong work ethic to O2 projects such as the Strathcona-Tweedsmuir School Expansion and Renovation project, Alberta Boot Company development and the Minto Bridgeland condominium project. Jenna holds a Bachelor of Landscape Architecture degree from the University of Guelph, where she graduated with distinction. In her final year of studies, she was awarded an American Society of Landscape Architects Award of Merit. Her final design studio project focused on urban flood resiliency and the use of green infrastructure for flood management. The project specifically looked at adapting an industrial area along the Fort Point Channel of Boston, Massachusetts into a livable and sustainable mixed-use district. The project addressed issues related to sea level rise and increased storm surges brought about by climate change, while activating a vibrant waterfront and improving coastal health. In 2014 she was awarded first place in the Ontario Stone, Sand, and Gravel Association student design competition and she was the recipient of the 2014 Garden Club of Toronto scholarship. At O2, Jenna’s role is to support the design team on a wide range of projects. She assists at various stages of the design process to prepare inventory and analysis mapping, graphic representation of drawings, construction drawings and more. Noman Syed holds a Master’s in Landscape Architecture from the University of Manitoba and Horticultural Sciences degree from Gomal University. 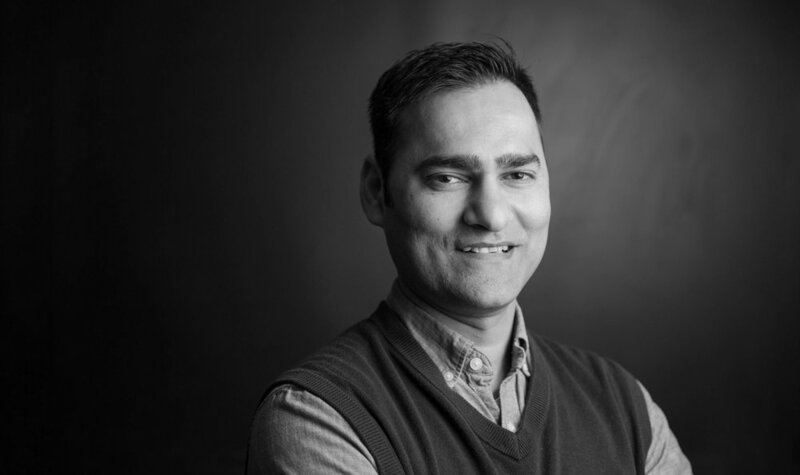 Prior to joining O2, Noman worked as a Landscape Architect at a Winnipeg based firm where he gained valuable experience on various residential, commercial, and recreational projects, from the conceptual stages to completion. Noman has a particular interest in using the application of landscape architecture to create functional ecological landscapes that contribute to natural processes, an interest informed by his past education and work experience in Horticultural sector. He is currently accredited as a Certified Arborist from International Society of Arboriculture (ISA). As a Designer at O2, he contributes to a wide range of project types including, parks, mixed use, and ecological restoration works. Sarah completed the requirements of a Master of Urban and Regional Planning at Queen’s University and holds a Bachelor of Arts in Urban and Regional Management Geography from Vancouver Island University. Sarah brings two years of experience in community planning, sustainable development research, and project management to O2 Planning + Design through her work as an Assistant Research Coordinator and UNESCO Biosphere Region Coordinator. She has contributed to a wide range of planning projects, including extensive community engagement strategies, Park Master Plans, and Neighbourhood Action Plans. While working with the Mount Arrowsmith Biosphere Region Research Institute (MABRRI) at Vancouver Island University, Sarah facilitated dialogue between Indigenous Partners, non-governmental organizations, and municipal government to develop collaborative strategies and community-based research projects addressing regional sustainability issues. She is effective at bringing together diverse groups of stakeholders and translating collaborative visions into detailed policies and actions. Through her research at Queen’s University, funded by the Social Sciences and Humanities Research Council of Canada, Sarah focussed on improving Official Community Plan policies on Vancouver Island for disaster resiliency. She also completed a project for Public Services and Procurement Canada on the expansion of the federal district energy system in the National Capital Region. 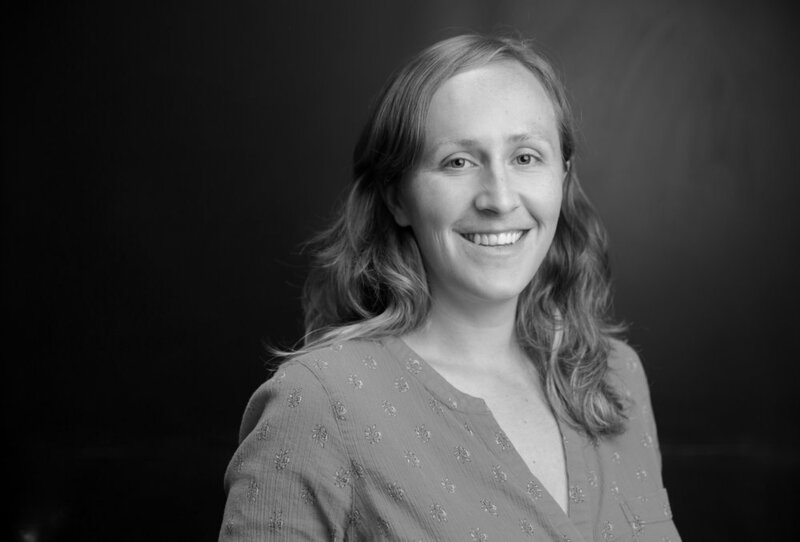 As a planner at O2, Sarah contributes to a range of environmental and land use projects, including parks and open space planning, policy creation, and the development of engagement strategies. Getachew holds a Bachelor of Art degree from Zegha Business College (City University College) in Accounting and Finance and a Diploma in Accounting from the Addis Ababa Commercial College. Getachew is O2’s Financial Administrator and has been employed by the firm since March 2013. He is responsible for budgeting, project reporting, financial reporting, invoicing, accounts payable and accounts receivable. Prior to joining O2, Getachew worked in Ethiopia with SouthWest Development Plc, Medecins Du Monde, International Committee of the Red Cross and Medecins Sans Frontiers. He also worked in Tanzania and Niger with Medecins Du Monde. Yana's professional experience spans multiple industries including independent film, fine art, wealth management, and non-profit. She holds a degree in Communications and a Bachelor of Fine Arts degree from the University of Calgary, where she focused on the philosophical and hermeneutic analysis of art, literature, film and communications history. As a freelance artist, she has provided illustration and design for academic journals, novels, magazines and promotional services. Her paintings have been exhibited at various galleries in Canada. Prior to O2, Yana worked as a Communications specialist for a number of organizations, providing social media management and usability consultation. A strategic and conceptual thinker, Yana seeks to provide visual and technical communication that best represents the values of O2. She brings a unique combination of skills to her role, where she assists in the design and management of the firm’s digital and print media, website, and social media platforms. Cameron holds a Bachelor of Applied Geographic Information Systems diploma from SAIT Polytechnic, as well as a background in Eco-tourism and Outdoor Leadership from Mount Royal University, which focused on studying and implementing sustainable tourism practices, risk management techniques, and outdoor leadership skills. He has experiences in projects focusing on transportation ecology, mapping wildlife vehicle collision hotspots and ecosystem connectivity. Cameron has experience with data creation, acquisition, processing and visualization; with a strong understanding of remote sensing techniques as well as a broad skillset focusing on cartography and data management. Cameron has worked alongside The Miistakis research institute to assist in the creation of multiple different data deliverables for clients. This experience has enabled him to utilize skills in web based and enterprise GIS, and external ArcGIS toolsets such as circuit-scape and linkage mapper. Chaitrali holds 2 years of a professional experience working as a designer at a landscape architecture and planning firm in Mumbai. She was involved with a range of landscape design projects that included residential, commercial, institutional and a street-scape up-gradation where she was responsible for curating design ideas, preparing conceptual visuals, construction drawing packages, and periodic construction visits. She has an eye for details and enjoys developing construction details. Chaitrali holds a Masters in Landscape Architecture from the University of British Columbia where she was nominated by the faculty, staff, and peers as a one of the 2018 Applied Science Rising Stars acknowledging her accomplishments throughout the course. She also holds a Bachelor of architecture from the University of Mumbai graduated with a distinction. She possesses a strong technical understanding, affinity to explore various design tools. Chloe holds a Masters of City Planning from the University of Pennsylvania’s School of Design, and her Bachelor’s degree in Urban Planning + Engineering from of the School of Geography and Planning, Sun Yat-sen University, Guangzhou, China. Her specializations include urban analytics programming, spatial planning, and socio-economic evaluation of urban form and function. Drawing from a range of technical specialties, Chloe brings high-quality analysis and visualization to the O2 team. Seeing the way landscape architecture positively effects the lives of others drew Nicole to the profession, and has guided her career towards a focus on sustainability and innovation in public and private spaces. At O2, Nicole works with the ecological design team. Pamela is am a Master of Planning graduate with an aptitude for design, engagement and communication. Throughout her graduate degree she pursued an urban design focus, choosing studios with a hands-on design approach, completing courses in computer modelling and graphic design. She complemented this with real estate development and finance course work to better understand market research and development costs. Through her leadership and employment experience she strengthened her communication and project management skills by succeeding in partnership development, stakeholder engagement, customer service and relationship building, in addition to knowledge in finance management and market research. Pamela values the importance of engaging in a community, and in doing so, has been exposed to the challenges and opportunities of the non-profit industry. As President of the Environmental Design Students’ Association she took it upon herself to facilitate the improvement of student experience during her graduate degree, and curated a professional level gallery showcase and participated in the growing arts and culture industries of Calgary.